In a challenging weekend marred by on-track incidents, Team Pelfrey provided their typical blazingly fast hardware and Kaylen challenged for wins all weekend. 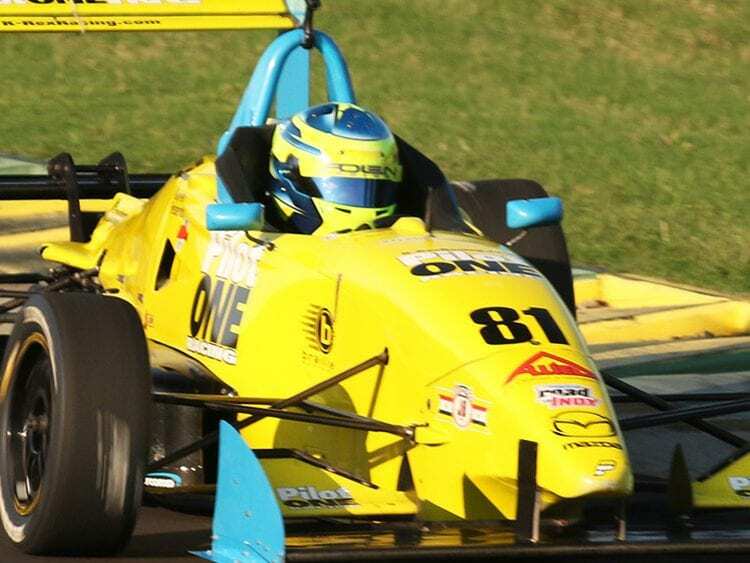 While the results were not as they might have been, racing in both the F1600 and F2000 cars allowed Kaylen the opportunity to sample mechanical grip versus downforce race cars in consecutive sessions on track. This advantage quickly drove Kaylen to the front in both fields and provided valuable car experience heading into the MRTI Indianapolis Tests in the next weekend. 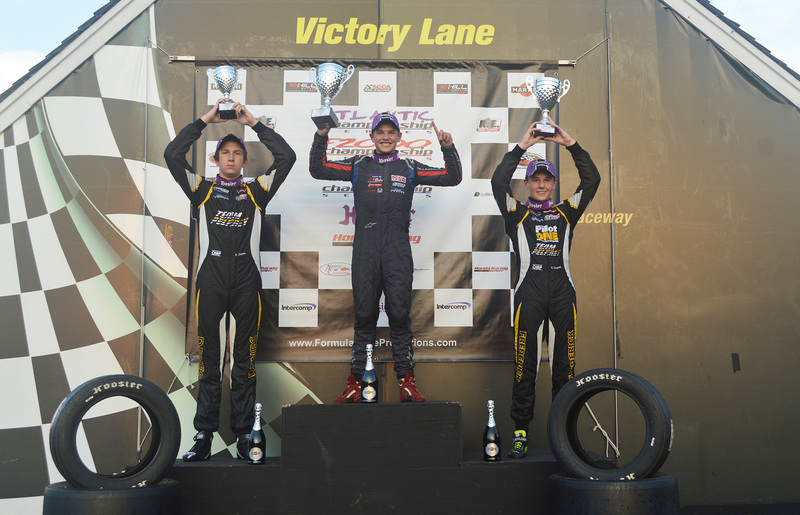 F2000 Races @ VIR September 31 & October 1 K-Rex added another pole to the weekend tally in the F2000 Race 1. F2000 Race 1: Kaylen led the field in a final lap with an 8 second lead! 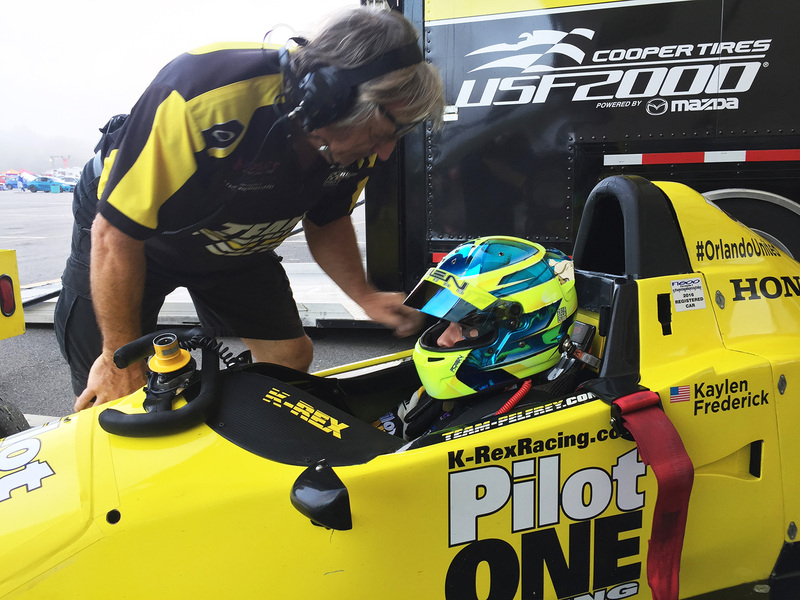 But then… Kaylen started from the back as he was late to the grid (changing out of F1600 car). K-Rex charged through the field of 14 cars to assume the lead by lap 5. After building an 8 second lead on P2 John McCusker, and on the final last ½ lap, K-Rex locked up the rear wheels at the Oak Tree with a missed engine blip during the downshift and the car drove off track out of action. When asked why he didn’t back off in the last lap so as to secure the win, K’s response was ‘You have never asked me to go slow before. Are you telling me to go slow now?’ The reply could only be ‘No, we’re not.’ In the 2nd race of the weekend Kaylen connected with other cars in Turn 1 at the race start and damages took Kaylen and car 81 out of the race.